Please avoid putting it under shadows from buildings,trees and walls. It's designed to illuminate in dark conditions and may not operate if other source of strong lights reflects on the panel.pLease avoid street lights and floodlights to impact the PIR sensor. It is suggested the solar panel to be fully charged for 6 hours at the first use. The working time varies with the intensity of sunlight, user's geography locations, weather conditions and shift of seasons. 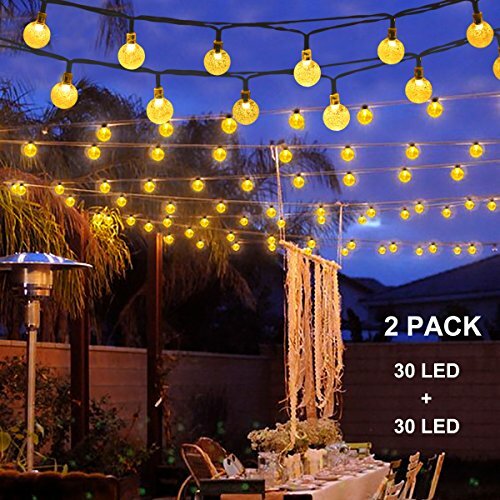 Specfication: 2-Pack 19.7feet/6meters length, 30LED lights with 8 working modes. If you have any questions about this product by Binval, contact us by completing and submitting the form below. If you are looking for a specif part number, please include it with your message.